Fanboys, warm up your internet rage engines: Sony technical platform boss Masayuki Chatani has become another voice indicating that the console's online service may be getting subscription fees sooner rather than later. 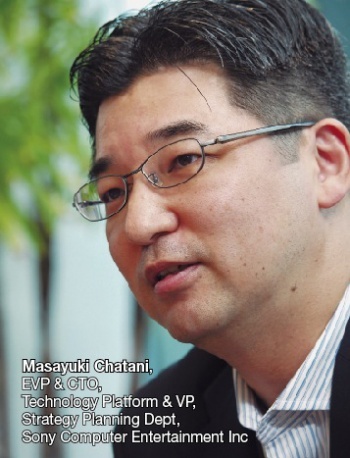 Speaking with Nikkei Japan, Chatani admitted that the company would face difficulties if it remained 100% committed to providing a free service to its customers: "Servers and the like have running costs, and we would face difficulties if our business depended solely on the sell-and-forget model." Though Chatani said that he expected to see an increase in their digital business, he indicated that the company was also looking at charging a subscription fee for premium PSN content, echoing sentiments from a Sony investor presentation last month. "We can also accept payment in a growing number of ways. In addition to single-payment packaged software, there are also schemes like monthly fees or per-item charges. I think this variety of payment methods will bring about a diverse range of playing methods, too." There you have it, folks - yet another Word-of-God confirmation that PSN will be charging cash for extra bonus goodies. Still, it's not as bad as it could have been - when rumors first broke last month, Kaz Hirai was quick to step in and caution that the subscriptions would be for premium content, and online gaming would still be free of charge.